Most convictions for DUI, even for a first offense, will result in a twelve month license suspension. Only the lowest tiered DUI under section 3802(a)(1) won’t result in a license suspension provided that the crime didn’t involve an accident and it’s a first offense. While clients are obviously concerned about jail time they are also concerned about a license suspension because it hinders their ability to earn a living to support their families. Pennsylvania recognizes this issue and allows Occupational Limited Licenses to those serving suspensions. A person qualifies for an OLL if it is their first offense DUI and they have served at least sixty (60) days of current license suspension. A person convicted of a second offense DUI sometimes faces an eighteen (18) month suspension under certain sections of the DUI statute. See section 3802(a) (1)-refusal: section 3802(c)-highest tier: section 3802(d) – controlled substances. In these situations a person is still eligible to an OLL provided that they have served at least twelve (12) months of an eighteen (18) month suspension and have complied with all of the restoration requirements including an ignition interlock for the vehicle. In addition to DUI offenses, a person can also qualify for an OLL if their license is suspended as a result of a conviction on certain drug crimes. Driving is a privilege in Pennsylvania not a right and so all of the petitions for the OLL are reviewed by the Pennsylvania Department of Transportation (PennDOT). The person seeking an OLL must make an application to PennDOT and provide proof of insurance, proof that the license restoration fee was paid, and a money order in the amount of $65.00. PennDOT will review the application and if you are approved you will receive an OLL camera card so that you can obtain a picture identification card. 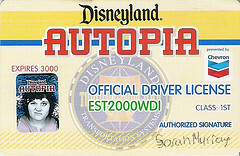 You must carry the identification card and a copy of your DL-15a with you at all times while driving. OLLs are usually valid the entire length of your suspension and after your suspension is over PennDOT will return your valid driver’s license to you. If PennDOT does issue you an OLL it is important that you are not convicted of any other criminal offenses which could result in a cancelation, disqualification, recall, suspension, or revocation of your driving privileges. PennDOT can recall your OLL and you would have to surrender it to the department upon request. If PennDOT denies your application for an OLL you can file a Petition for Administrative Hearing. The cost of this reconsideration is $100.00. OLLs can be issued for non-commercial and commercial driver’s licenses (CDL). If you are convicted of a DUI or another criminal charge which results in your driver’s license suspension it is important that you consider an OLL.